Police investigating the first crime scene. 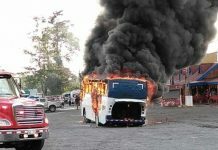 (QCOSTARICA) There men were killed Thursday in the centre of Limon, in less than four hours in two separate incidents. 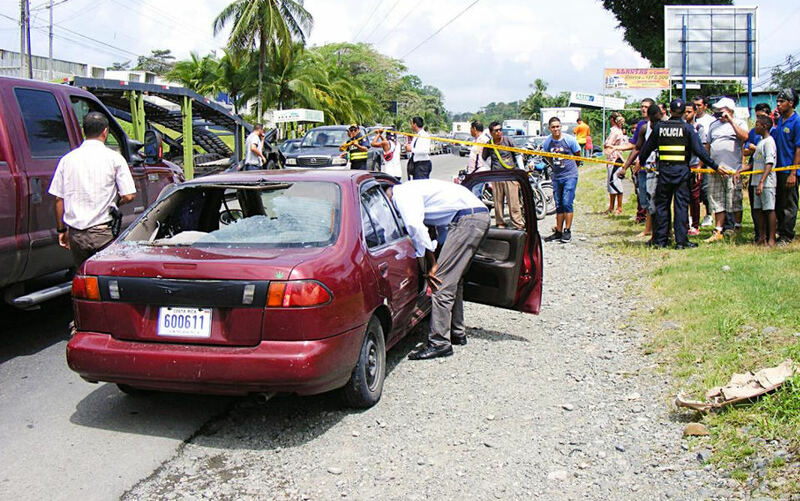 The first murder occurred at 9:30am in La Colina, when several individuals travelling in a vehicle intercepted another vehicle with two individuals and fired on them more than 40 times. Police say they found some 45 shells typically used in a AK-47 rifle. Police say the gunmen fled in a white car, which presumably was rented only to commit the crime. Until this morning, there are no arrests in the case. 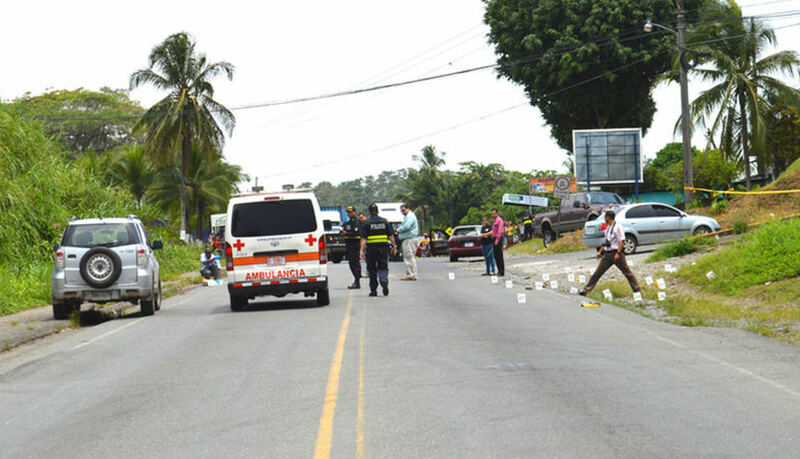 The second incident occurred shortly before 1:00pm, when to men tried to rob a delivery truck after it made its delivery and received payment, in the area of Barrio Cangrejos, on the road to Portete. Apparently, to prevent being robbed, the driver of the delivery truck shot in the head one of the assailants. The other assailant shot back, wounding in the shoulder a security guard and then fled the scene. His whereabouts are still unknown. 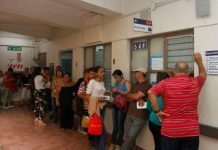 Between January and April of this year, there have been 18 homicides in the city of Limon, this according to the Organismo de Investigacion Judicial (OIJ) statistics. 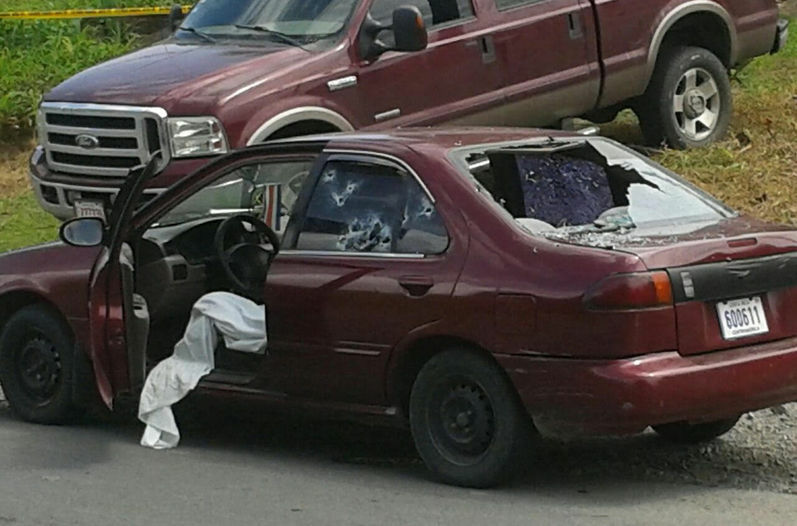 In 2014, there were 39 homicides in the city of Limon. The second crime scene, occuring less than four hours later. The local police chief, Allan Obando, attributes the increase in crime to increased activity by organize crime in the area. “These are not acts of common criminals. 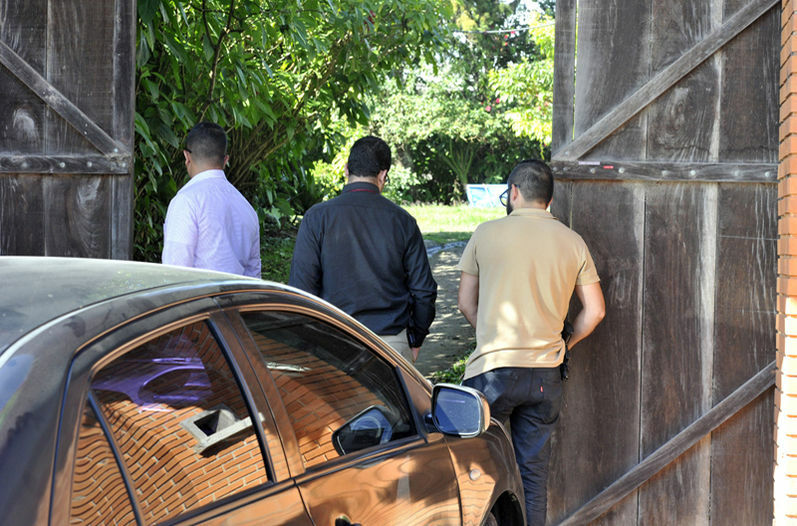 This is by organized crime dealing with illegal drug issues,” explained the chief. To cope, Obando said they have identified areas of greatest risk and are redeploying officers to control the situation.